Today, we are providing One Liner on Biology. 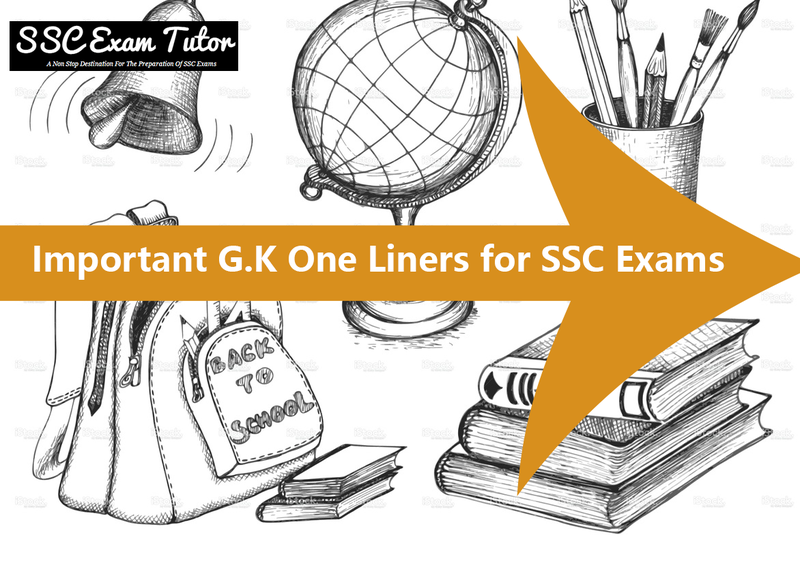 Most of these questions are very important and has been asked in various exams including SSC CGL. So, don't miss them. What kind of disease is malaria? - Malaria is a protozoan disease caused by protozoan parasite plasmodium. Name the plant tissues responsible for transportation of water and food in plants- Xylem transports water and Phloem transport food. Why is Blood Red in Color? - Due to the presence of RBC's that contain red colored pigment called Haemoglobin. What is the role of WBC's ? - WBC's contain Antibodies that protect human body from infections. Promotion of algae in a water body due to the increase in amount of falling industrial and sewage water decreases the BOD of water and depletes the dissolved oxygen is called - Eutrophication. What is BOD? -Biochemical oxygen Demand also called Biological oxygen demand is the amount of dissolved oxygen needed by aerobic biological organisms to break down organic material present in a given water sample at certain temperature over a specific time period. Why is EEG(Electro Encephalo Gram) used? - It detects electrical activity in your brain using small, flat metal discs (electrodes) attached to your scalp.